A collaboration across continents, this performance features never-before-seen musical partnerships between international artists, William Close (United States), The 7 Sopranos (Australia) and Singapore’s very own trailblazing drum group ZingO. In this headline act of the Singapore Night Festival 2014, Close will transform the façade of the National Museum into a giant “Earth Harp”, a larger-than-life musical instrument on which he runs his hands along to create spell-binding melodies. Together with the sultry serenades of all-female operatic-crossover artists, The 7 Sopranos and the addictive, heart-thumping beats of local drum group ZingO, this groundbreaking spectacle combining amazing visuals and music is not to be missed. Get ready for an extravaganza of jaw-dropping acrobatics, pyrotechnics and music in this special collaboration between William Close and Austrian-based collective, Phoenix. 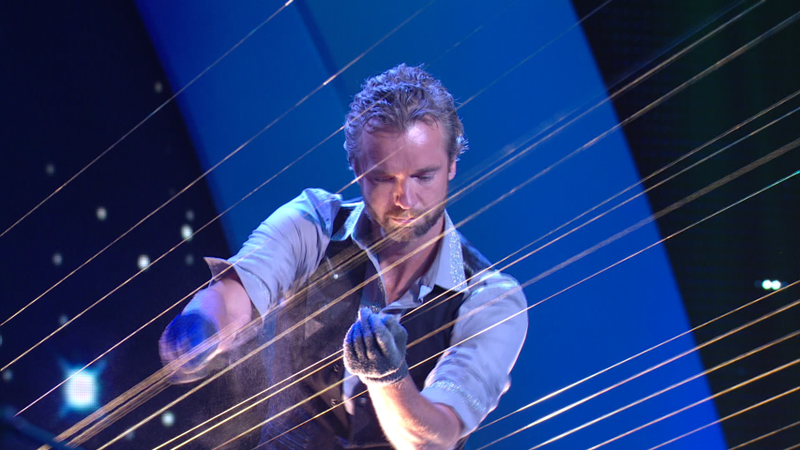 A show like no other, Phoenix’s fiery and gravity-defying performances will be accompanied by William Close’s “Earth Harp” that transforms the museum into a giant instrument. Try not to blink as Phoenix’s artistes traverse high up in the air for an aerial dance, or light up the night sky with their intricate pyrotechnic displays.